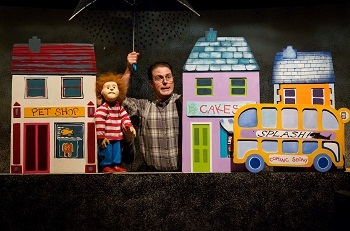 Our captivating show The Song from the Sea, by Mike Kenny, focuses on a young boy’s struggle to find his place in his family, and in the wider world. 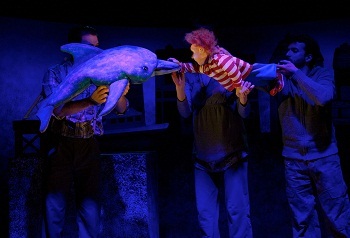 Blending storytelling, performance, puppets, music and a beautiful song from the sea, this show is a sensory treat. 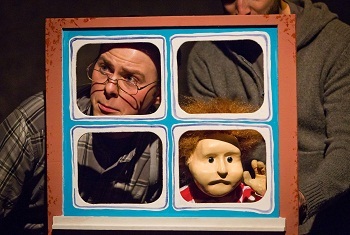 Playwright Mike Kenny’s writing shows great empathy with young children. He will be familiar to Barnstorm audiences as the author of Big Sister, Little Brother and Jack. With its blend of magic and realism, and an emphasis on shared storytelling The Song from the Sea is an encouraging and uplifting show for young children. 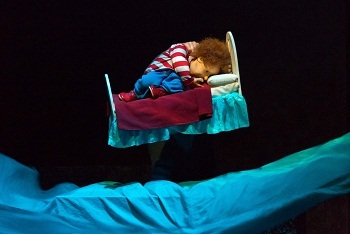 A play for children aged 4 and older. On this tour we are delighted to be playing in the very first Children’s Festival of Theatre in Sligo: The Mad Hatter Theatre Festival, along with Baboró International Arts Festival for Children.